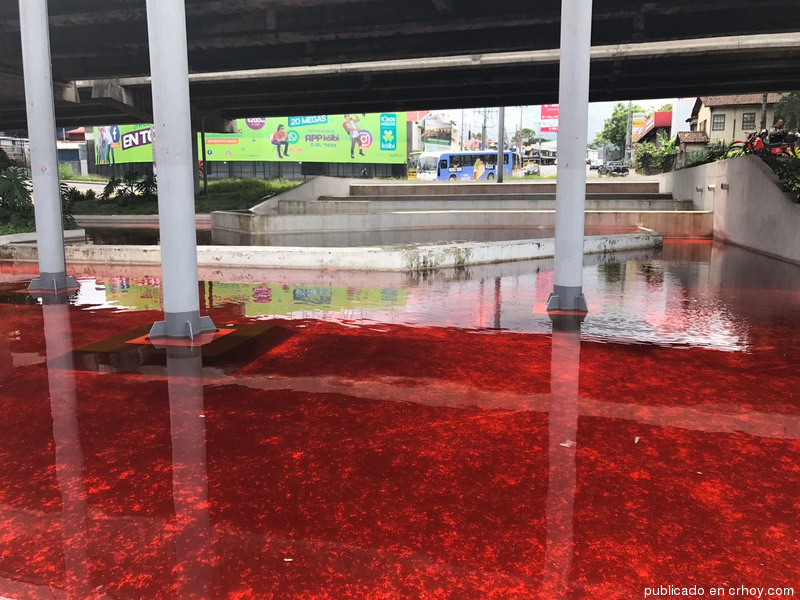 But in any cases, the water in the fountain mysteriously turned red. 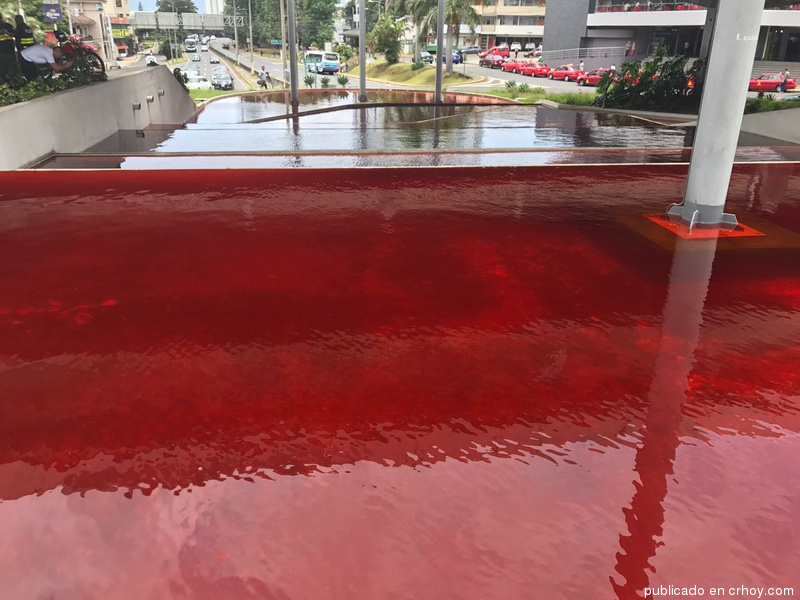 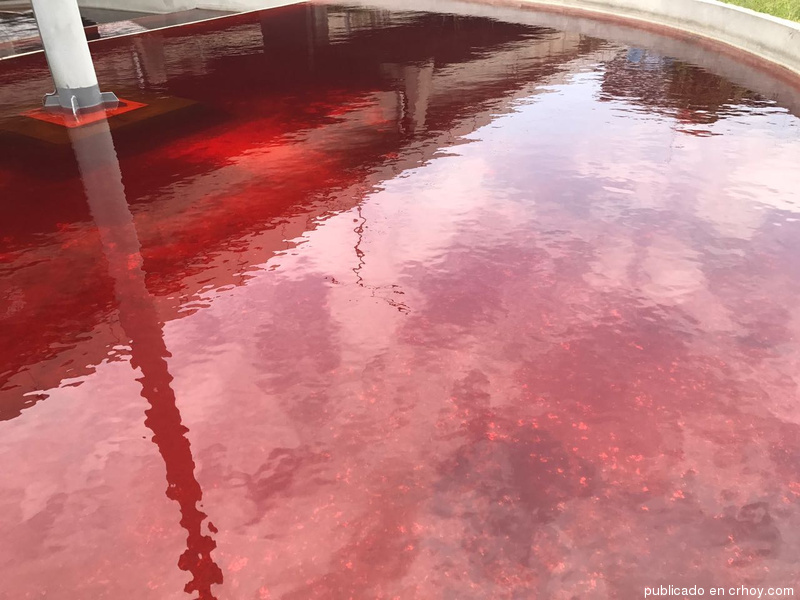 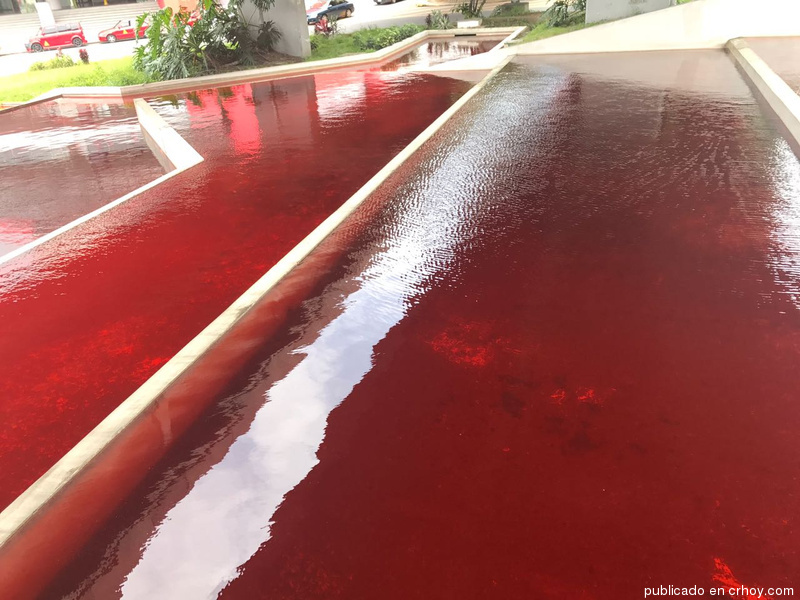 The water in a fountain in Costa Rica turned blood red overnight. 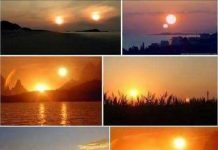 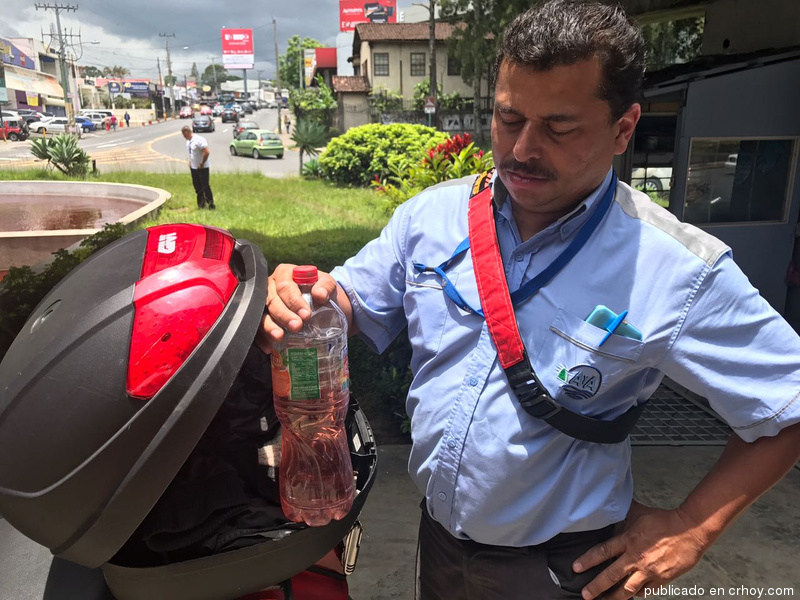 Would you drink rom this blood red water?